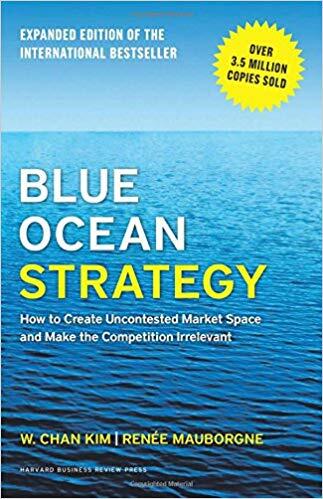 Mental model: create blue oceans, don’t fight in the “Red oceans.” The figures are useful for determining how to find your blue ocean strategies. Value innovation is the cornerstone of blue ocean strategy. We call it value innovation because instead of focusing on beating the competition, you focus on making the competition irrelevant by creating a leap in value for buyers and your company, thereby opening up new and uncontested market space. 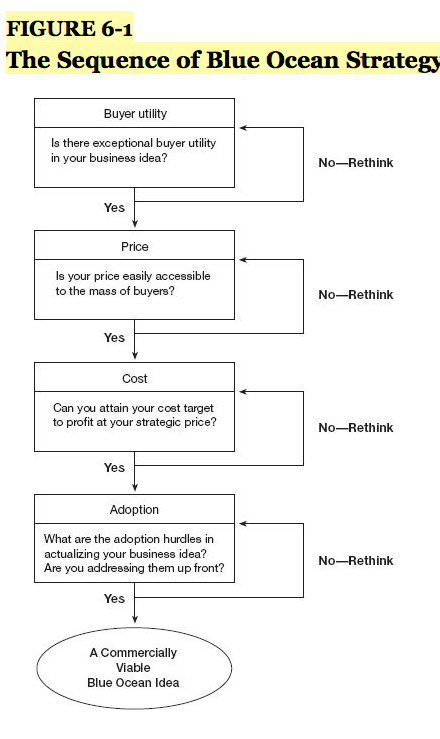 those that seek to create blue oceans pursue differentiation and low cost simultaneously. 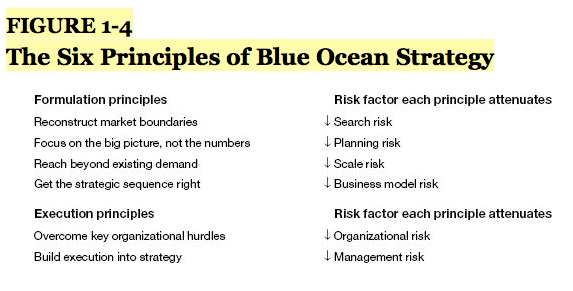 Effective blue ocean strategy should be about risk minimization and not risk taking. To fundamentally shift the strategy canvas of an industry, you must begin by reorienting your strategic focus from competitors to alternatives, and from customers to noncustomers of the industry. Which of the factors that the industry takes for granted should be eliminated? Which factors should be created that the industry has never offered? Look across complementary products and industries… imagine a movie theatre with a babysitting service.